The Massachusetts Department of Conservation and Recreation (DCR) encourages residents to lend a hand at state parks and beaches across the Commonwealth this Saturday, April 25, 2015 for the agency’s Annual Park Serve Day. Park Serve Day is a statewide day of volunteer service where volunteers partner with staff from DCR to get Massachusetts parks and beaches ready for summer by cleaning coastlines, clearing trails, planting flowers, painting picnic tables, mowing, weeding and picking up litter. Park Serve Day improves recreational spaces throughout Massachusetts by fostering a sense of environmental stewardship and community involvement to help maintain public spaces for the greater good. Events will take place between the hours of 8 a.m. and 3 p.m., though hours vary by location and participants are encouraged to reach out to their local state parks to confirm event times. DCR will provide work gloves and equipment needed for the various projects, though participants may want to bring their own gloves or hand tools, clearly marked with the owner’s name and phone number. Power tools are not allowed. Wear sturdy shoes and work clothes, and bring sunscreen and insect repellent. All events are rain or shine, so dress appropriately for the weather. Parking fees will be waived at all DCR facilities where Park Serve projects are taking place. To find a Park Serve Day event near you, check the list below or search the Park Serve Day website. To register for an event, use the online volunteer application. The Massachusetts Department of Conservation and Recreation (DCR), an agency of the Executive Office of Energy and Environmental Affairs, oversees 450,000 acres of parks and forests, beaches, bike trails, watersheds, dams, and parkways. Led by Commissioner Jack Murray, the agency’s mission is to protect, promote, and enhance our common wealth of natural, cultural, and recreational resources. To learn more about DCR, our facilities, and our programs, please visit www.mass.gov/dcr. Contact us at mass.parks@state.ma.us. 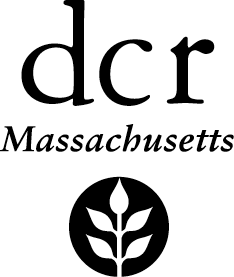 Follow us on Twitter @massDCR.